From its leadership in software, security and networking technology, to its extensive CSR efforts, Cisco Systems is a company I follow very closely. One thing I really like about Cisco is the interest it takes in fostering innovation and entrepreneurship, vital for a large company. It’s vital for every large tech company because the typical cycle of a tech company as it gets older is to get out-innovated by smaller and nimbler firms. Cisco knows this and I appreciate it developed a 5 pillar innovation strategy. I personally checked out its London IDEA Center to see the “partner” and “invest” pillar in action. I see Cisco innovating everywhere, including its CSR program and Community Partners Program, and how it essentially functions as a venture capital firm, providing technology, expertise, and funding to various organizations that contribute to the global good. Cisco is no stranger to VC— Cisco Investments has fostered and supported innovators worldwide for decades and has 120 active investments. So how does Cisco innovate on its innovation program? Cisco says it started with a blank sheet of paper to figure out how to be relevant to entrepreneurs at earlier stage companies; how does it find the next AppDynamics or OpenDNS earlier? Cisco is now getting more active in the early-stage venture capital game, with a bold, newly announced independent VC firm, Decibel. I had the chance to meet with Cisco VP Rob Salvagno and Decibel Founder Jon Sakoda. Let’s take a closer look. Cisco setup Decibel as an independent venture capital firm that will focus exclusively on early-stage enterprise investment. Think of early-stage as needing “seed” or “angel” money just to get started. At this stage, companies may not even have a product or customers- they have an idea. Typically, Cisco would invest after seed and angel in what might be an “A”, “B”, or “C” round before the company goes public or is sold. Decibel was co-founded with the help of Jon Sakoda, an experienced entrepreneur and venture capitalist. In the words of Cisco Corporate Development and Cisco Investments VP Rob Salvagno, Decibel hopes to deliver “the best of both worlds”—the agility and capabilities of an early stage VC firm, with the power of Cisco’s vast resources behind it. From what I gather, Decibel is as an industry first—the first time a major tech company has co-founded a VC firm independent of its corporate structure focused on early-stage investments. Through its Cisco Investments program, Cisco already invests in many companies (120 active investments) around the world and has a pretty good bead on future technology trends. With Decibel, it hopes to engage with the startup community even earlier and build stronger foundational relationships with the technology leaders of tomorrow. While the stage of the companies Decibel will go after are different, the target tech areas align with what Cisco is looking for in adjacencies like security, networking, datacenter, cloud and collaboration. As traditional VCs have grown in size over the last decade, they have gone after more established and larger startups, which left a hole for Decibel to fill. I have some experience in working with angel stage companies and the options aren’t great and I like that Decibel positions itself as a “long-term partner,” with the resources to provide reliable capital for the 5-10 years startups typically take to reach full success. Cisco says Decibel will have its own management company and personnel, with the agency to make independent governance decisions. This agility is key to success in early-stage venture capital. Unlike a typical VC firm, though, Decibel can pull on Cisco’s resources as needed—its people, customers, go-to-market capabilities, and more. Another really neat thing about Decibel is that it benefits from the wisdom and guidance of the founders of many of Cisco’s recently-acquired startups (40+ founders and growing), who are dedicated to helping the next generation of upstarts. A good example of this is Amy Chang, current lead of collaboration at Cisco whose former company, Accompany, was acquired by Cisco. Another good example is Bhaskar Sunkara, AppDynamics CTO and a founding team member and Jon Oberheide, co-founder of Duo Security, who sold to Cisco, too. So what does Cisco Systems get out of this? A lot. Let me start with the obvious, which are the valuation gains of the companies it has invested in. But Cisco gets a lot more. Unlike companies like Oracle who have a reputation of telling founders to “get lost” after acquisition, Cisco tries to create an environment where founders like Chang will stay. Those Cisco entrepreneurs want to stay fresh, be up to date on the latest and greatest ideas and approaches and believe the best way to do that is to collaborate with these early-stage companies. 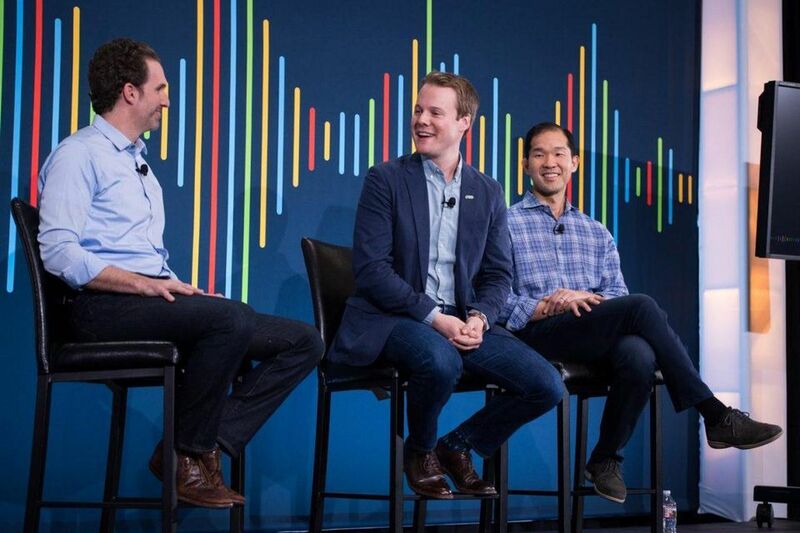 As Decibel’s Sakoda explained, “larger tech companies lose their way because they were thinking too much inside the walls versus outside, which is the easiest way to get out-innovated.” Collaborating with these early-stage gives these Cisco founders that outside-in view. Having worked in large, B-round and angel companies, I can fully appreciate that. In fact, this is similar in the value my company, Moor Insights & Strategy, brings to companies as I have the luxury of being 100% outside-in. Industry leaders typically have a hard time maintaining the entrepreneurial spirit that carried them to success. Though Cisco has been around for a long time, I believe it is not one of those companies. Decibel as an example of how Cisco continues to innovate on everything—even on how it innovates. Investment is one of the key tenants of Cisco’s 5 pillar innovation strategy, and Decibel marks a doubling down on this area. It’s a bold, unique strategy for Cisco, and I look forward to seeing what talent and technology the firm fosters in the coming years.